The Partners for Fish and Wildlife Program (PFW program), administered by the U.S. Fish and Wildlife Service, works by collaborating with voluntary landowners, local organizations, and state and federal agencies to restore and enhance Missouri private lands. In the Midwest, the U.S. Fish and Wildlife service is stepping up to help declining monarch populations whose numbers are in precipitous decline. One way to do this is by restoring native monarch habitat on private lands. Currently, over 90 percent of land in Missouri is in private ownership, making private lands essential to the conservation of monarch butterflies and other species. 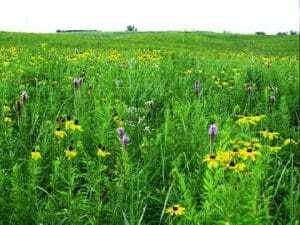 In 2018, Missouri’s PFW Program restored or enhanced 1,624 acres of monarch habitat in prairies, savannas and wetlands. The largest project of the year restored 320 acres of native tall grassland. Before restoration, this area was a fescue field once used for cattle. To re-establish the grassland, the site was first prepared through invasive plant/fescue removal. A dormant frost seeding happened next using highly diverse seed mixes that included multiple native milkweed and native monarch nectar species. This combination is helpful for both egg-laying and migration habitat. 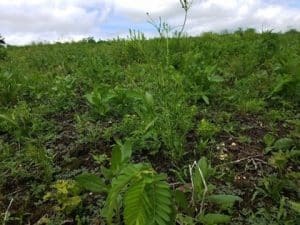 Proper land management guided by PFW biologists will help the landowner achieve optimum benefits, but it will take a year or two before the full expression of the native grassland can be seen. Not only will monarch butterflies, native bees and other pollinators benefit from this habitat, but also many other animals in decline such as the eastern meadowlark, bobolink, grasshopper sparrow and state-endangered greater prairie chicken. This site and others like it will be used by monarch butterflies during their migrations for years to come. 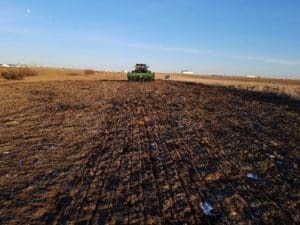 Dormant frost seeding of native warm season grasses, forbs and legumes using a warm season grass drill for the 320 acre restoration- U.S. Fish and Wildlife Service. After restoration: blackeyed susan and partridge pea growth after the first growing season since the restoration on the 320 acre plot- U.S. Fish and Wildlife Service.